Behold - the Mouth of Truth! 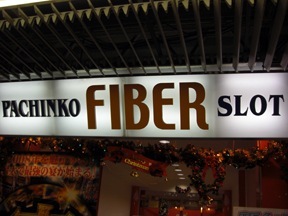 This is a novelty attraction in the kid's playroom at Gold Coast resort in HK. 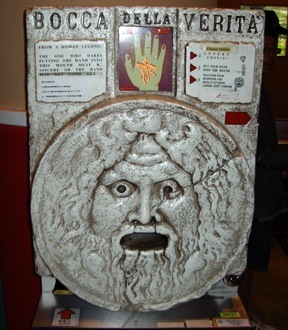 I believe 'Bocca Della Verita' translates as 'Mouth of Truth' in Italian. You put your hand in his mouth/slot and the imposing Greco-Roman device reads your palm, apparently leaving fiery disfiguring scars along your fortune lines. I can't imagine any sane child putting their hand inside this thing to be honest, or any adult for that matter. It wasn't plugged in at the time, so I couldn't try it out. 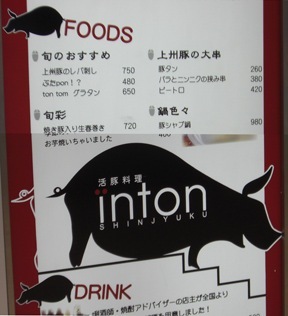 But what does it actually say when it is? Does it bellow - in a Godlike basso voice - dire predictions that will ruin your childhood and adolescence, like "you shall remain a virgin until your thirty-fifth year!" or "yours was an accidental birth!" Or perhaps something more in line with Greek tragedies, like "You shall murder your father in a jealous rage and marry your stepmother! So says the Bocca Della VERITA!" 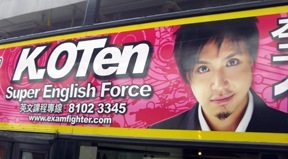 Super English Force - KOTen! !